A New England Journal of Medicine review published in the November 29th, 2007 issue suggests that 1.5% to 2% of cancers may be a result of diagnostic CT scans. The number of CT’s ordered in the U.S. has increased by 95% since 1980, and the x ray dosage delivered is many times that of plain film-type x-rays. Although the actual amount of short and long term damage caused by radiation exposure is controversial, it is clear that in each case, there is a measurable risk. The strong magnetic fields of MRI scans also affect our biology, as do the powerful sound waves used in ultrasound scans. It behooves both the patient and the physician to decide if the value of any diagnostic test justifies the risk involved, and our general rule at Acupuncture Associates is that if a test will not alter your treatment, it is probably not indicated. For example, I see many patients with back pain or headaches who are not candidates for surgery, and yet have been put through painful or risky procedures that have no impact on whether or how their condition can be treated. Many of these tests are extraordinarily expensive, and one factor in their overuse is the profits they generate and the preference of payment plans for procedures over results. A calculator to help patients and physicians understand the radiation dose delivered by imaging procedures is available here. UnitedHealth Group’s former CEO and board chair, William McGuire, M.D., has paid 468 million dollars to settle charges against him that he benefited from an illegal scheme to manipulate the price of options he was awarded by the company. He also agreed to repay 448 million to the company as well as forgo 200 million that he earlier gave back when he resigned in November 2006. The present CEO, Stephen Hemsley surrendered 190 million dollars, and other executives are also involved in the settlement. It is no surprise, given how our "justice" system works, that patients and shareholders are not part of the settlement. Dr. McGuire still has 800 million dollars in stock options whose fate remains to be determined. The amazing amounts of money involved signify just how profitable it is to control the money stream in medicine. These excesses have been made possible by government manipulation of what politicians refer to as a "free market" when it is as far from a free market as possible. Since "regulation" is always the solution by politicians, the rhetoric that free market "excesses" are the reason for the high cost of medical care in the U.S. is frequently heard from our elected system lords, and repeated by various media representatives and organized medicine "experts". A review of published and non-published research at the University of Hull in the U.K. suggests that the benefits of pharmaceutical antidepressants has been exaggerated as a result of the fact that studies that show no benefit or negative effects are not published. Since most studies are paid for by pharmaceutical companies, and all medical journals are heavily dependent on the advertising support from these very same sources, only research favorable to company profits tend to be promoted. Lead researcher Professor Irving Kirsch at the University said: "The difference in improvement between patients taking placebos and patients taking anti-depressants is not very great." Significant side effects and interactions with other drugs are strong reasons to reconsider the widespread practice in the U.S. of prescribing these drugs for almost any reason. Disturbing evidence that some classes of these drugs are associated with the modern phenomenon of narcissistic homicide/suicide should also be considered before they are prescribed. Calcium supplementation significantly increased the risk of heart attack, sudden death, angina or chest pain among healthy post menopausal women, compared with those taking a placebo, in a secondary analysis of a 5 year osteoporosis study. (Am. J. Med. 2006;1119:777-85). Dr. Rita Redberg, a cardiologist at the University of California, San Francisco, noted that risk increased despite the fact that HDL/LDL ratios improved in all participants: "It shows that just improving cholesterol does not reduce the risk of a heart attack". The U.S. Preventive Services Taskforce has concluded that routine "carotid artery stenosis" screening with ultrasound is too risky and false positive rates are too high. The risk of surgery is also considerable, with increased rates of stroke and other cognitive changes, as well as the usual risks which accompany hospitalization. In a study of 2137 patients with wrist fractures in the Netherlands, 500 mg of vitamin C daily reduced the development of chronic pain at one year post injury by 80%. Injuries of all sorts can result in a syndrome known as chronic regional pain syndrome (CRPS) which is poorly treated by standard Western medicine. From 2001 to 2004, patients were randomized to receive placebo or Vitamin C in various doses for 49 days. At one year, 10% of the placebo patients had CRPS and chronic pain, compared with 2% who took 500 mg. of vitamin C for 7 weeks after the injury. Fine combing of wet hair is four times more effective at eliminating head lice than using chemical products (57% cure rate versus 13%). (BMJ Journal). Curcumin, found in turmeric, has been found to block a key biological pathway needed for the development of melanoma and other cancers, according to researchers from the University of Texas M.D.Anderson Cancer Center. The study is the latest to suggest that curcumin has potent anticancer powers. Considerable research is being carried out worldwide into the antioxidant, anti-inflammatory and anti-carcinogenic properties of curcumin. (M.D.Anderson News Release 7/20/05). A survey of patients who relapsed and were previously stable and responsive to their antidepressant drugs at the University of Toronto found that the only factor in common was a change from a brand-name antidepressant to a generic, or from their original generic to another generic without the patient’s knowledge. In a study of 50 HIV-infected adults (half with full-blown AIDS) taking HIV medicines, all initially complained of at least two digestive side-effects: gas (80%), bloating (40%), cramps (50%), appetite loss (50%) and loss of weight (10%). All participants received six weeks of acupuncture - the first three weeks at acupuncture points designed to treat digestive symptoms and the last three weeks at non-points near actual points not indicated for digestive disorders. Around one in eight British schoolchildren have at least one episode of acute bacterial conjunctivitis each year and many are treated with a local antibiotic, commonly chloramphenicol eye drops. A new study, however, which compared chloramphenicol eye drops with placebo eye drops, found no difference in outcome (clinical cure at day seven and six-week follow-up) between the two. They conclude "Most children presenting with acute infective conjunctivitis in primary care will get better by themselves and do not need treatment with an antibiotic". (The Lancet 2005; 366:37-43). A major study has cast doubt on the ability of Echinacea angustifolia to either prevent or to alleviate the symptoms of the common cold. The study, which was funded by the US National Center for Complementary and Alternative Medicine, tested three laboratory-made preparations made at the three different strengths that are most represented in the worldwide literature on echinacea for the common cold. Four hundred and thirty-seven healthy, young-adult volunteers were assigned at random to receive either one of the echinacea preparations or a placebo. There were seven subgroups among the volunteers that received various combinations of echinacea and/or a placebo, in two phases: a preventative phase (seven days) and a treatment phase. On the seventh day, the already treated volunteers were exposed to a nasal mist containing common-cold virus. Then, they were isolated for five days and monitored for the appearance and severity of cold symptoms. The research team found that taking echinacea had no clinical or significant effects on whether volunteers became infected with a cold or, in those who developed colds, on how severe their symptoms were or how long those symptoms lasted. (Journal of the American Medical Association. 2003 290(21):2824-2830). A major meta-analysis of existing homoeopathy trials has concluded that there is no evidence that homoeopathy is more effective than placebo. The Swiss study authors compared 110 homoeopathy trials with the same number of orthodox medicine trials and concluded that "There was weak evidence for a specific effect of homeopathic remedies, but strong evidence for specific effects of conventional interventions". (The Lancet 2005; 366:726-732). SENATORS PROPOSE "HEALTH LITERACY ACT OF 2007"
Of course, the AMA sees this as a "welcome sign of progress", as they will certainly benefit from the cashflow generated by the all encompassing goals for this "implementation center". With a mandate so broad and vague, a budget the size of the National Institutes of Health could easily be manifested by our elected representatives and spread around to their favorite fat cats. Leaving aside for the moment the fact that most of the expense and inefficiency to be found in our medical system is the result of the ineptitude of government policies in the first place; can there be anyone outside Washington who believes that another bureaucracy is an answer for patient confusion? 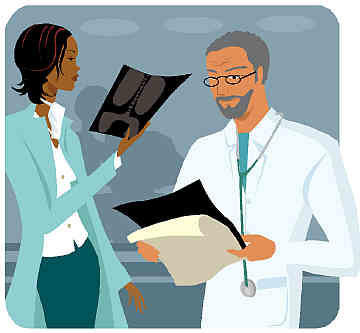 Patients are often confused because their doctors are confused. Much of the information which they themselves receive is contradictory, irrelevant, or distorted by marketing propaganda. Complex problems require complex analysis and an ongoing therapeutic relationship. This takes time and effort on both the patient and physician’s part, and a check box for a procedure code in an electronic health record is not a substitute. I created a low cost demonstration project to improve physician patient communications and presented it with two magicians at a Las Vegas magic school in 2005, introducing techniques that are proven to be both effective and teachable. This project could be expanded at very little cost. The Coleman-Harkin bill, in contrast, creates a massive rathole for taxpayer dollars with no evidence or track record to support its grandiose vision. Unfortunately, no matter who is the nominative party of power is in Washington, endless funds seem slated for yet more theoretical and fossilized concepts of this sort, and experimental "centers" to correct the problems that such thinking and programs have already created.